This past weekend Cason and I embarked on one of our all-time favorite events ... 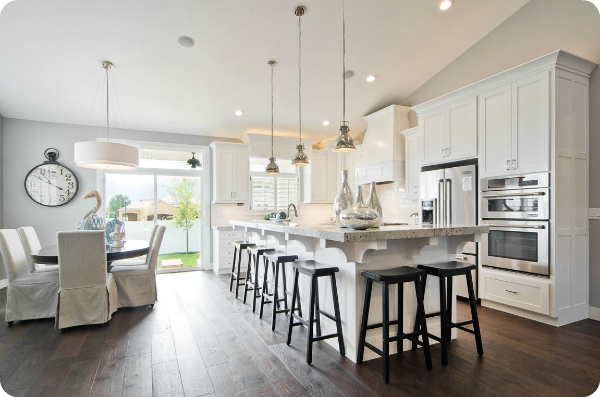 The Parade of Homes in Salt Lake City. We went last year together for the first time, after helping plan and decorate the 2012 blogger house, and we knew immediately that this was going to be an annual tradition for us. If you've never been to a parade of homes in your area, then I hate to say it, but you're probably missing out BIG time. Basically, it's like a get-in-free-card (okay, usually it costs about $6-$10 per ticket) to take a peek into a TON of amazingly designed and decorated houses, usually in neighborhoods right around where you already live! While so many of the 35 featured homes had beautiful exteriors, I'd have to say that #33 was probably my favorite. 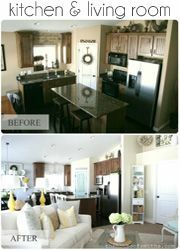 I was absolutely head over heels for the finishes and paint colors chosen for this beautiful home. It's basically the epitome of what my dream homes exterior would look like, if I could have anything I wanted. 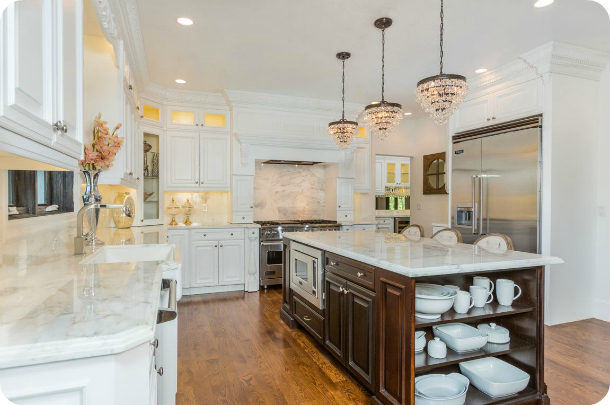 Although the actual layout of this house was't really my cup o' tea, it DID have a KILLER kitchen with the most amazing hardwood floors and cabinet design you ever did see. Oh! 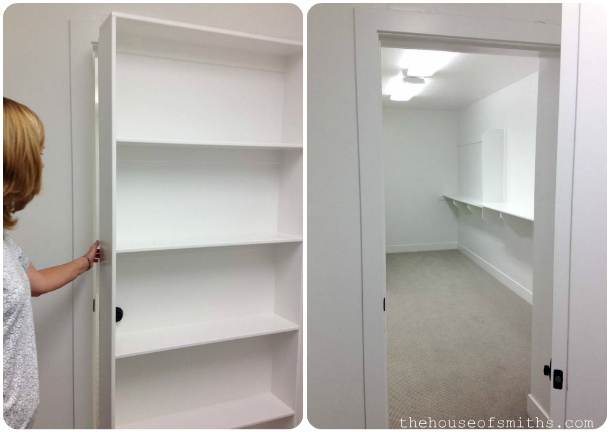 and you can't forget the extra hidden storage in the basement! Speaking of hidden things, house #31 got one of my loudest squeals of the week. would actually open up to reveal all of THIS! Um yeah, my mind was blown. My Mother in law and I actually got so excited with laughter and squeals when we opened this little door, that the home builder came running into the kitchen to see what was wrong. LOL. I guess it's fair to say that he figured out the best way to get some space/storage deprived women really excited. ha! 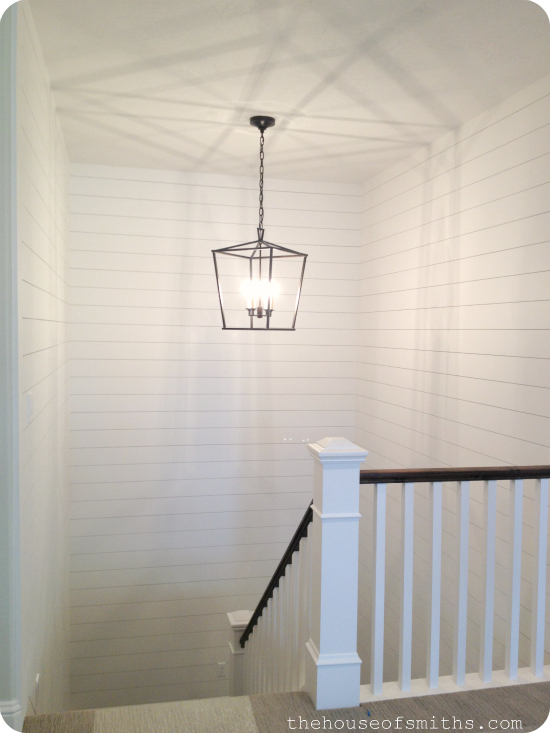 I have to mention that I also LOVED the planked walls going up the stairway in this home, along with the vanity in the master bathroom and wallpaper in the laundry room. This little house packed a big punch in my book. 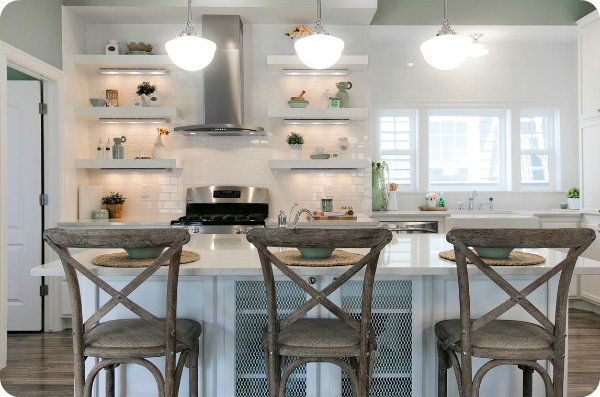 While I know that layout, quality of build and functionality of space are ALL important things... beautiful decor just makes my heart melt, and one of my MOST favorite decorated homes in the parade, happen to be a little house in the Daybreak community; #24. 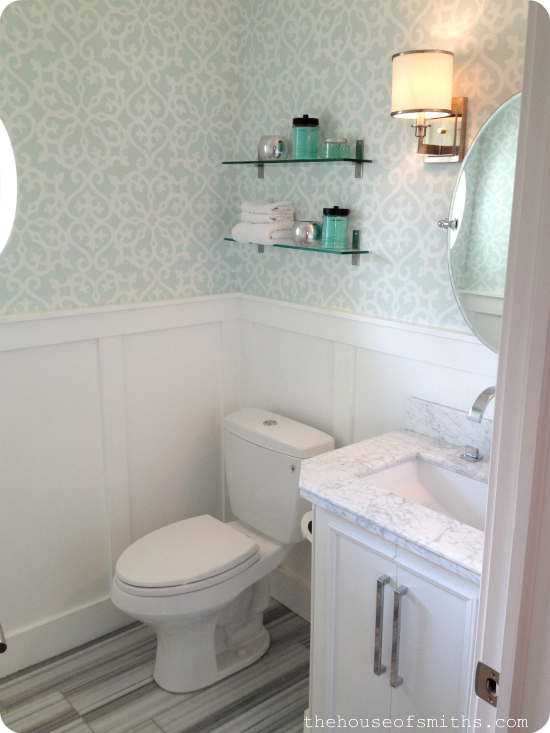 Even though this house was small, EVERY space was decorated beautifully and with lots of thought. The furniture layout was perfect, making each room appear larger than it probably really was and I just felt like they didn't miss ANY details. You know how much I love and appreciate that. 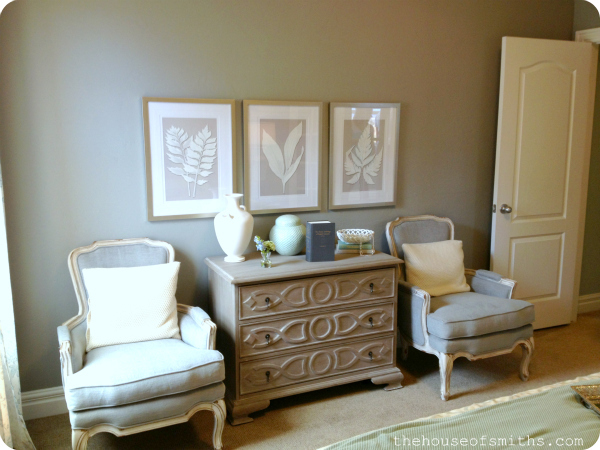 Room decor/design was obviously a HUGE part of what made each home SO exciting for me to see, so I had to include these other amazing spaces from additional homes that I loved as well. Really, when it came down to it, yes, the million dollar homes were big, impressive and fun to look at... but in reality, the design/decor/details I was drawn to the most, were in the smaller, more modestly sized homes in the parade this year. 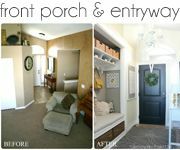 I was consistently blown away by how innovative, on-trend and creative these "everyday home builders" had really gotten! Maybe this makes me boring, or old and practical now, but in my experience, it always seems that it's MUCH harder to do more with less, than it is to do more with more. 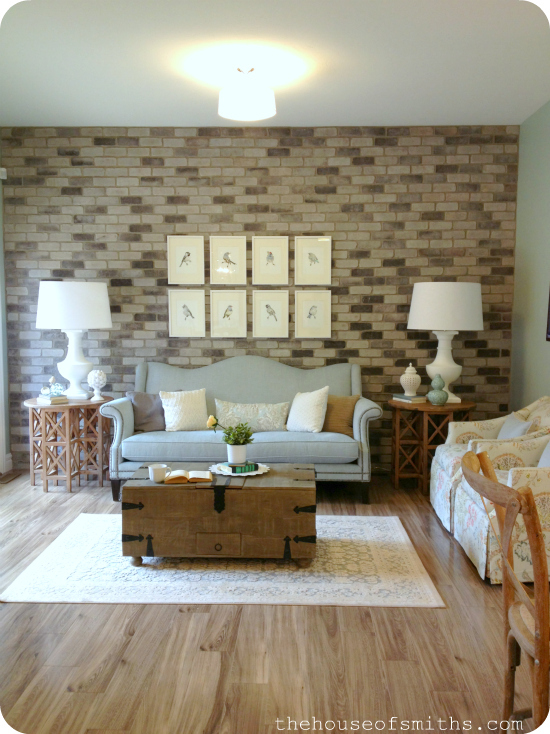 Kudos to the home builders this year who "wowed" us with their super-high-functioning space planning and superb decorating skills that showed off how brilliant their home plans really could be. ... now if I could just get my hands on about 3 different house plans from the parade, and smoosh them all together to create the PERFECT house?... THAT would really be the best day ever. 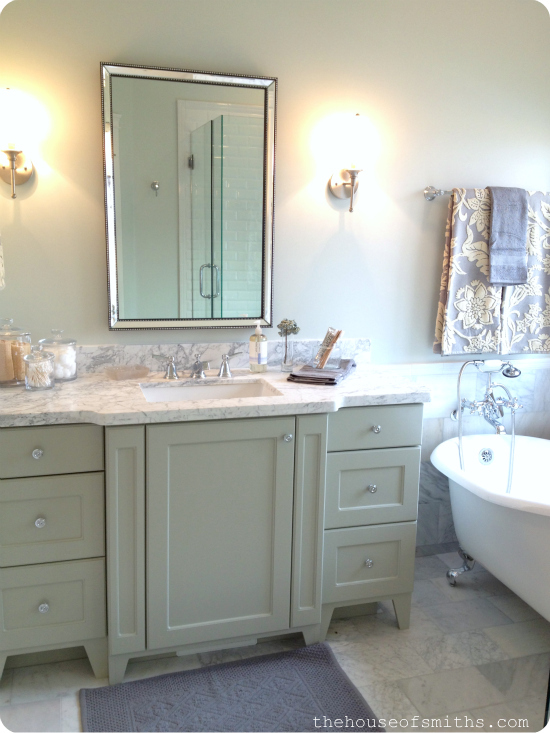 SIDE NOTE: The builder of lots of these beautiful cabinets was Lone Pine Cabinet. Look them up if you need amazing work done! My favourites are the awesome pantry of squeals - how clever!! 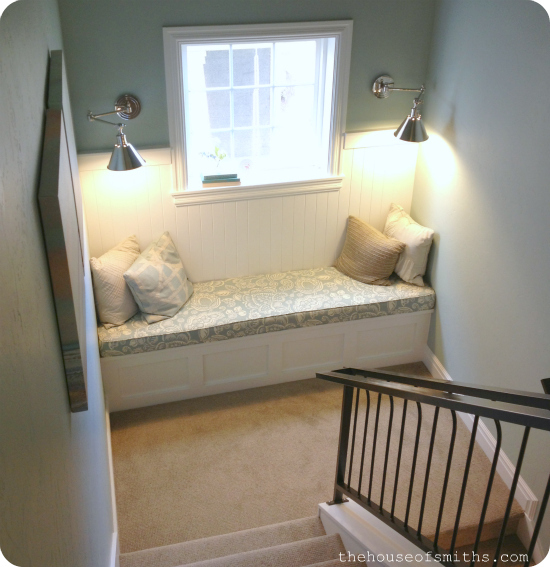 ... and the reading seat on the staircase midway. Thanks for letting me peek in on these beautiful houses too! 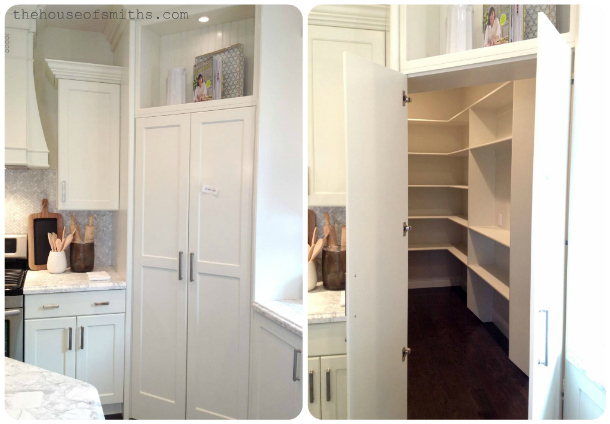 I love that pantry and would have swooned over it. I just adore your writing style and even though I mostly lurk, know I read and appreciate each post. Thank you for the fun pictures! LOVED everyone one of them. That pantry was squeal worthy. I must confess my favorite picture is the last one of you and your cutie pie husband. Y'all are precious. 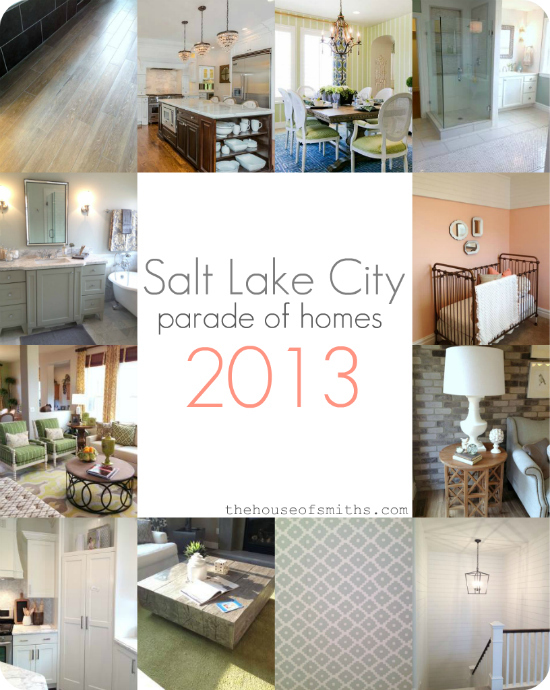 Thank you, Shelley for the super peak into the Salt Lake Parade of Homes. The photos were fantastic and the houses beautiful! 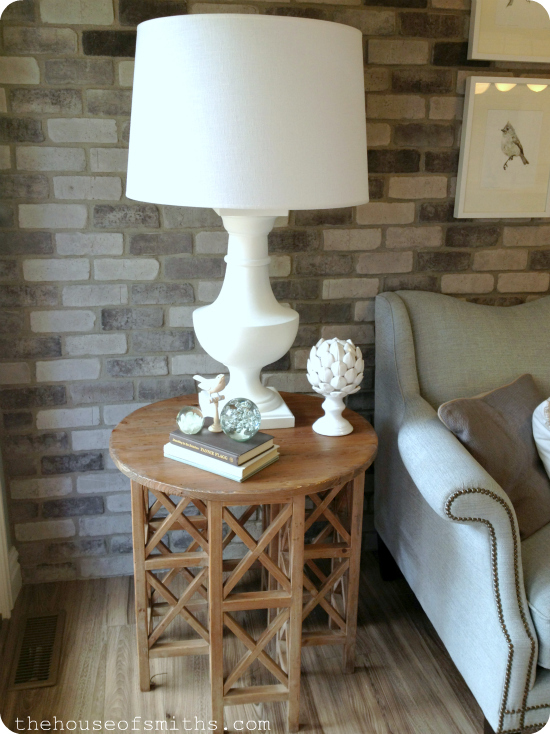 I can't wait for my next Parade of Homes in Kalamazoo, Michigan to get ideas agin! Beautiful! 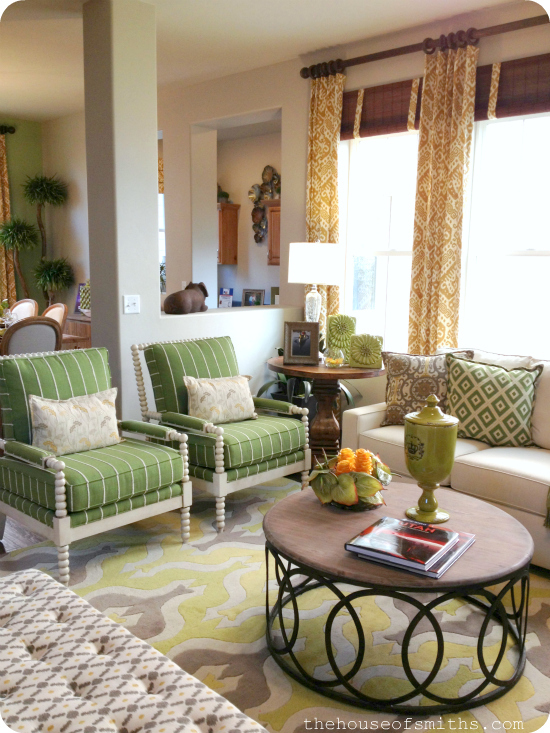 I love Parade of Homes too. Thanks for sharing this. Thanks for taking us on the tour. So many great ideas. That home exterior was so beautiful. You and your hubby are adorable. You guys remind me of myself and my husband. I personally have been a parade of home junkie for about 20-21 years. Up here in the Twin Cities, the POH's takes place twice a year. At one point before tte housing market collapsed, there were about 1200-1300 +/- homes scattered all over the Twin Cities. My hubby and I would sit down with the Parade book, choose an area, and spend the day in that area hopping through homes. Since the market collapse, it is down to about 300-400 homes at the very most. 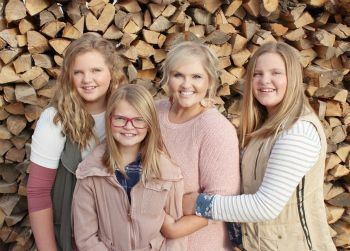 Sometimes even escaping your bickering children and snooping through parade Homes just across the river into Wiconsin can get you in trouble. We found one of those smaller homes that had a big kitchen, no wasted space floor plan that day (9.5 yrs ago). Hubby was in love. New home. No more fixing of an older house. We built and moved here, jumping the border into western Wi. Not really doing some super sleuth digging on this builder, but we should have. Not the greatest builder. So much for escaping that fixing. We are replacing our windows. We have cracking walls. Issues with the mechanics/heating system. Moral of he story, do some deep digging. Try and walk through houses they build in different stages and really look at quality of work. Are they a huge builder with a ton of different crews? That was our issue. We still hop the Parade of Homes each season. It is free up here. Hi! 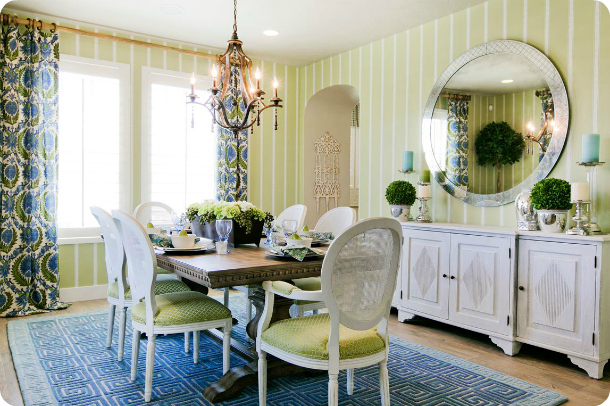 Last year I went to the Utah (I'm from Idaho) parade of homes just to see the blogger house done by some of my favorite bloggers. It was so cute. This year I went and loved so many of the houses too. Thanks for taking such amazing photos of some of my favorites. I'm enjoying them again. :) My sister and I went together and she'll love these pictures too. In fact, last year she loved the pantry you did, so she made the containers for her pantry. Thanks again. 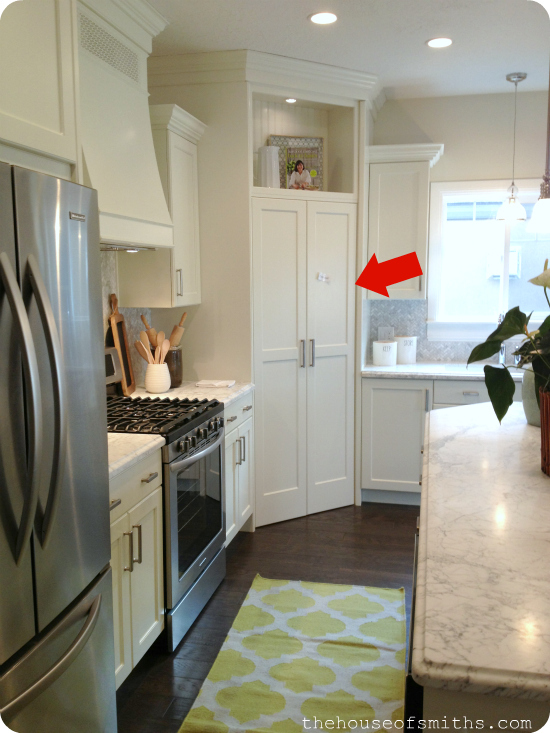 I'm totally laughing - I would squeal at that hidden pantry & the hidden basement storage too. I'm all about having the space to store things in a way that is functional yet beautiful. Love these homes. What fun that must have been. So much fun! I would love to do this in my area soon. I will have to keep an eye out. LOVE the pantry closet! So many beautiful photos but I was most impressed with the smaller home. 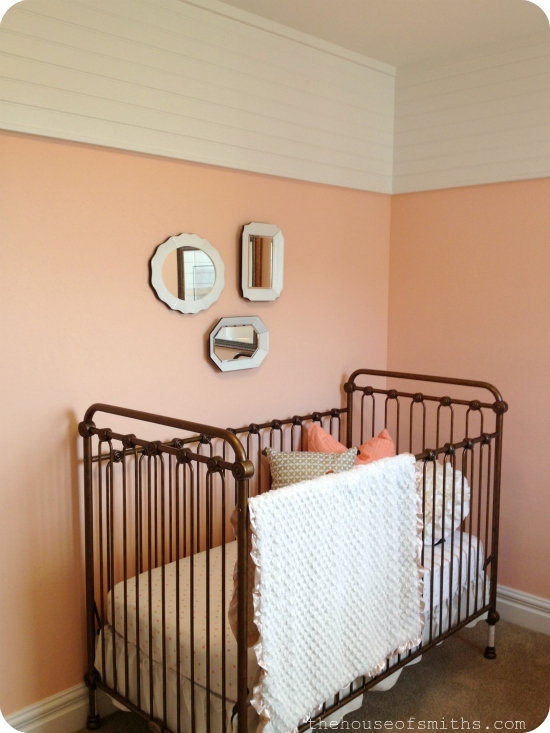 The designer was able to make it look quite stylish while using only muted colors and almost no patterns. Just lovely. Those are beautiful! I love the light and airy feel of the interiors. I've also a major fan of the modern craftsman style of the exteriors.... love! Implementing this in a real life way still has me stumped. My husband and I spent hours and hours of time this past spring looking to possibly building in the So Jordan/ Riverton area. I got so frustrated looking at model homes. I'd find a builder that had plenty of upgrades included and beautiful finishes to choose from and they'd be priced 50K above their competitors. We'd find another builder that was priced right but options would be so limited (ie you'd literally have three kitchen sink options). They'd look at me like I had two heads when I'd mention that I'd like to order my own kitchen and bathroom sinks, door hardware etc. Their selections would be so limited. I learned the sad reality this spring that even a 450K budget doesn't go very far when building a new home in this area. I got so frustrated so we are just staying put for now (sigh). Guess I need to build my own or find a small custom home builder. I normally love to see the bigger homes as well but I ended up rating the smaller homes higher because they were just done...better. There were two million dollar homes I went into where I found painters tape and unfinished walls. Really? #32 was by far my favorite house. Love love LOVE! Amazing! Just out of curiosity do they do something like a parade of homes in California? Or how would I look for something like that? I'm obsessed with the decor but have NO idea where to start. Especially since it seems like some of your favorite places are not common out here. (bummer). 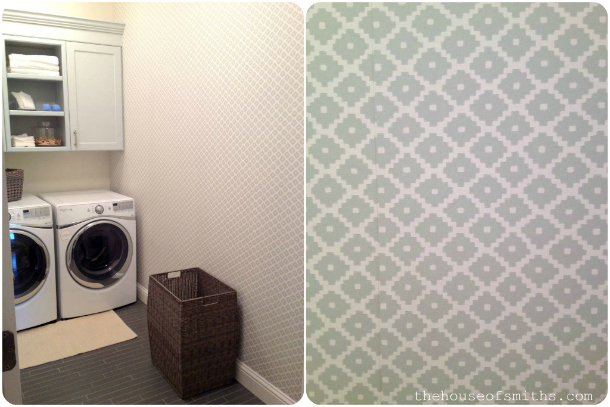 Thank you for posting these gorgeous house pictures! 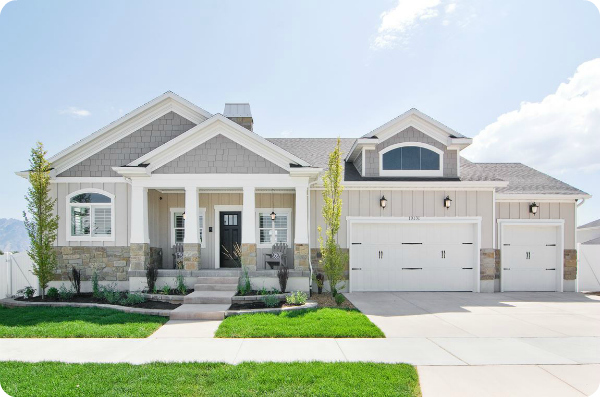 One of the things I miss about living in utah is the parade of homes. (I'm one of those creepy house people who love to catch glimpses of other people houses :)) it's a much needed fix! Oh and I adore your house pictures btw. Thanks! Thank you for posting these gorgeous parade of home pictures. One of the things I miss about living in Utah is the Parade of Homes each year. (I guess I'm one of those creepy people that love to catch glimpses of other people's houses:) ) it's a much need fix. Oh and I'm a huge fan of your house and style btw. Thanks! What beautiful homes! 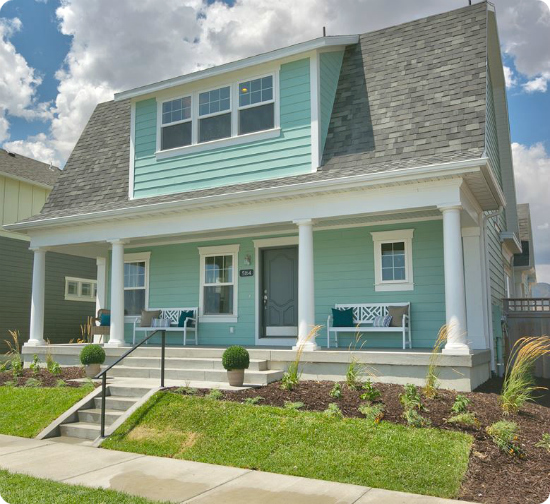 I love the outdoor paint color of the daybreak community house #24. How can I find out what color that is?! I die. these are my dream color schemes. Thanks for sharing! PLEASE send me more info about these houses!!! We are in the process of planning to build and I LOVE these houses!!!! What are the sizes/price ranges for most of them? Oh my eye candy! Your photos are just gorgeous, I can't even begin to imagine how magical those tours were in person. Wow!! They are all beautiful! I wish we had that kind of eye candy here in AZ!!! For my 30th birthday my husband and I spent the afternoon at a Parade of Homes. One of my best birthdays ever! Love it! 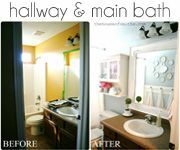 For the house with the corner pantry and the green bathroom vanity... Do you know if the wall color in the bathroom is the same color as the vanity? Or is it just a lighter shade of the same color? WOW! What beautiful homes. Wish we had builders like that here in Australia! 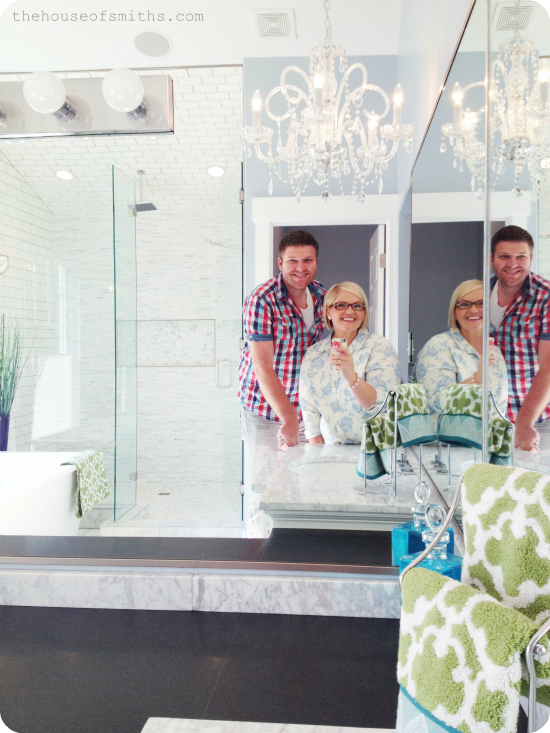 Thank you so much for the tour of these fabulous homes! And all from the comfort of my chair! Your photos were fantastic! 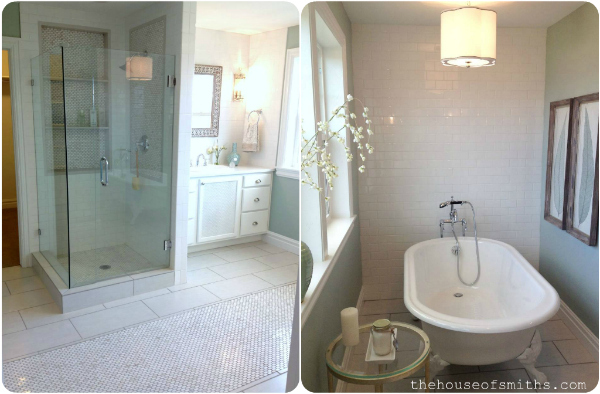 Found you on pinterest and just wanted to thank you for sharing the photo's from the parade of homes in your area! They were all so beautiful!!! WOW! Thank you for sharing these lovely spaces! Oh how I wish I still lived in Utah so I could walk through all of those! Thank you for taking the time to snap all those gorgeous pictures! 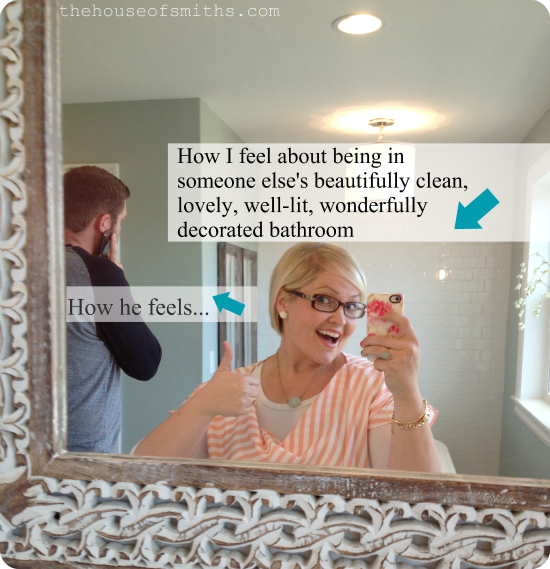 I need to pin every photo in this post! Thanks for sharing! And those chandeliers you made? Amazing...just like you! 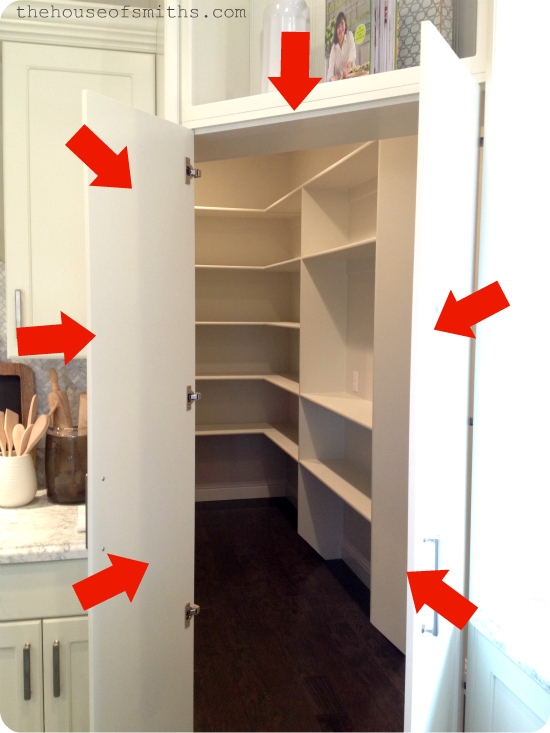 We squeaked (and maybe swore) over that corner pantry that is the size of Texas too. Totally agree on the awesomeness of the smaller homes, and they all seem so much larger than they look on the outside! It is lovely having lots of storage inside and out. I am also very sorry of not having a garage at my home. 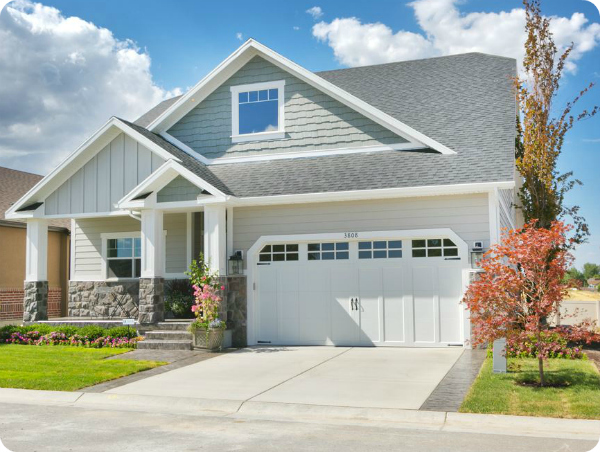 Your house looks great externally and when you walk into the rooms, they are well designed, clean and tidy. It is an example of a perfect home for me personally. This is just a great idea to showcase actual living spaces. 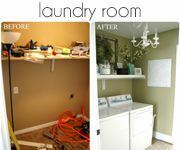 I have been to one here in our locality and the houses gave me ideas on how to maximize living space by installing ample storage spaces to de-clutter the home. I think this is just a good idea to be able to showcase functional living spaces.